This was during the time when we have to go to our local store to buy some grocery for the upcoming Christmas. 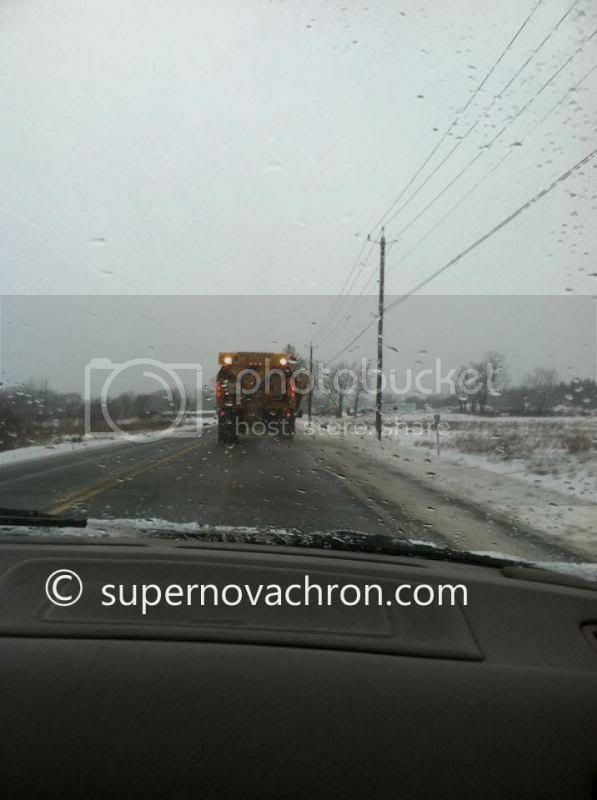 I know this is might be an overdue post, well anyways this big truck was in front of us salting. It wasn't clear enough if it was plowing or salting, until we came closer. It even says on the back of the truck to be at least 200 feet away, apparently we are not that far and yet we are closer than the supposedly 200 feet distance. 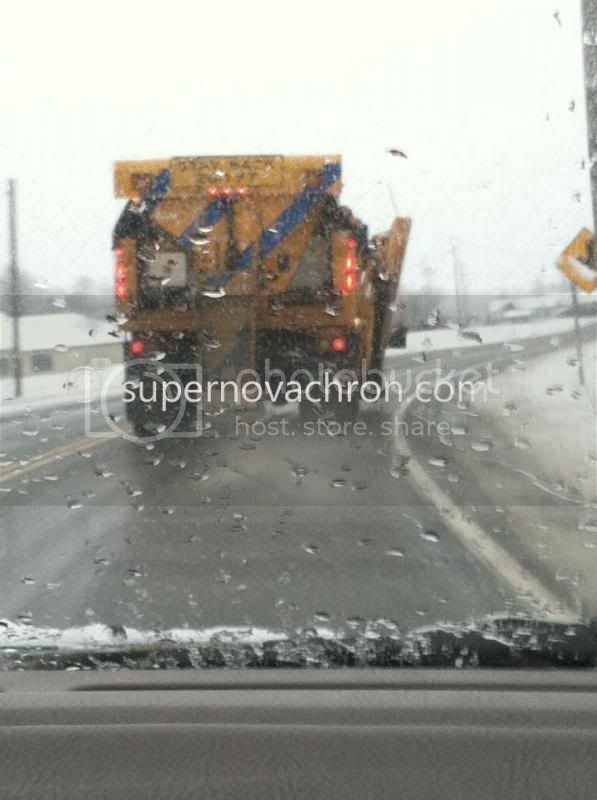 If you've noticed we are even closer to that truck, and this I'm pretty sure that it is salting the road. It helps keep the cars safer on a slippery pavement due to a snow and then rain which makes the road frozen. Next week would be painful, it will be below 20 here. So hard to do to winter areas. It must have been a challenge to move in the snow.